…and so do the cultural activities. 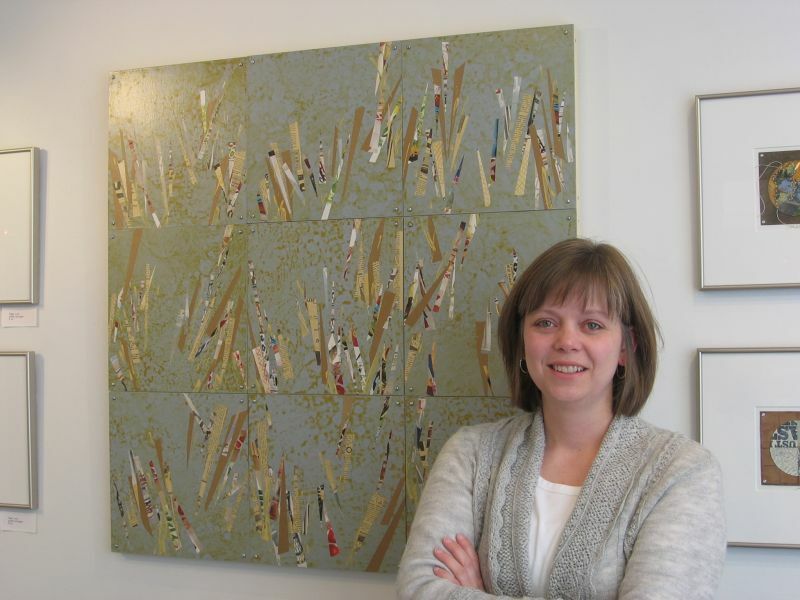 One of the most talked about events is the Opening Reception for Jill Enestvedt’s new works at ArtOnWater Gallery (217 South Water Street). Jill (pictured here) has been a quiet but powerful force in Northfield’s art world for many years. Check out her most recent burst of creativity from 3 to 9 pm in one of Northfield’s classiest venues. While you’re in the neighborhood (that’s the westside of downtown), enjoy dinner at the Eagles Club (304 South Water Street). It’s a benefit for the expansion of Way Park and you’ll enjoy Nordic music, provided by Hutenanny and Scandium, with your Italian spaghetti, provided by the Friends of Way Park. It’s from 5 to 8 pm. …and raise a toast to our small but vibrant town and the many creative and energetic people that contribute to its rich quality of life. Sounds like a hot time, Saturday night, in Downtown Northfield.